Airvana recently announced its OneCell™ system was named the winner in the “In-Building Wireless – Small Cell, Wi-Fi, LAN” category of CTIA’s annual Emerging Technology (E-Tech) Awards competition. I remember back in June, it received a lot of praise for this product. So what exactly is so unique in this OneCell™. 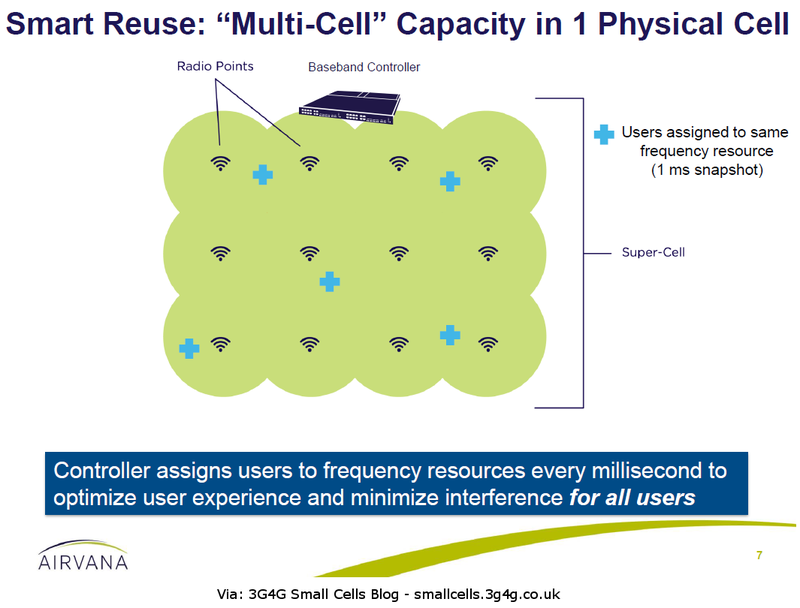 Based on cloud RAN principles, the OneCell system consists of a Baseband Controller and multiple Radio Points. Together they form a single "super" cell that delivers consistently high quality LTE service across indoor spaces ranging from 50,000 to 1,000,000 square feet without handovers or inter-cell interference issues. OneCell supports plug-and-play deployment over standard Ethernet cabling and switches, eliminating the need for proprietary networks or expensive optical links. 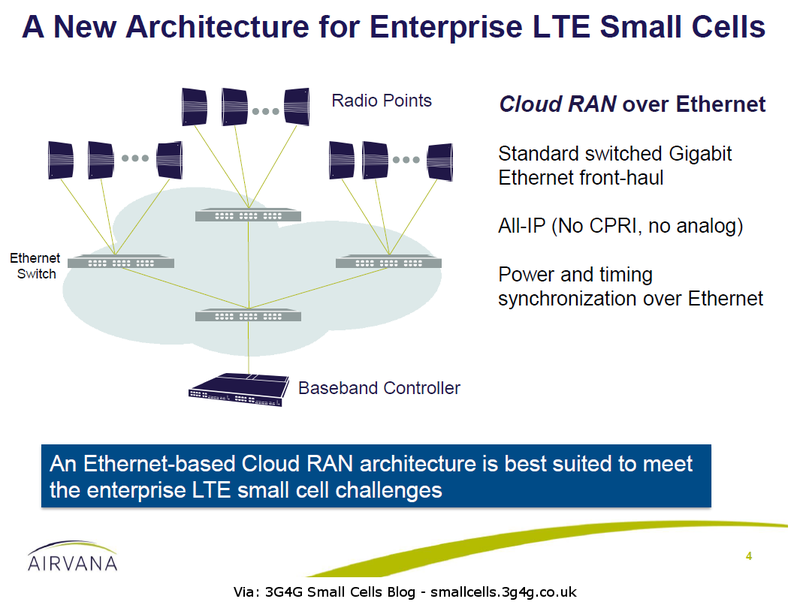 Further, its unique small cell cloud RAN architecture dramatically simplifies radio frequency planning and integration with wireless macro networks. There is a mention of C-RAN (though I have had discussion where this claims have been disputed), Super-cell and is pitched towards enterprises. Airvana's website has a good picture explaining how a super-cell gets rid of interference on cell edges as all the cells work together as a single large cell. In fact the scheduler can cleverly assign the same resource blocks to different users and hence increase capacity.